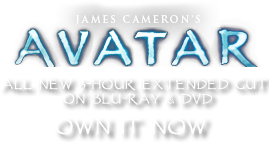 Behavior | Pandorapedia: The Official Guide to Pandora | Own AVATAR on Blu-ray & DVD Now! The Na’vi are highly social creatures with complex personal, family, and community relationship dynamics. They are monogamous, mating for life. Strong social bonds determine the selection of mated pairs, and often social roles within the community are associated with the pairings. The most prominent example of this is that the Olo’eyctan, or Clan Leader, is always paired with the Tsahik, or Shamanic Matriarch. Social roles are not necessarily determined by gender. Females are known to be active hunters and clan leaders, while males often choose to focus on child rearing or crafts, such as Na’vi weaving. The arts are of vital importance in Na’vi culture, with all individuals encouraged, even socially required, to be active in music, singing, ceramics, weaving, and dance. The Na’vi are generally not aggressive with each other, and have many strategies for conflict resolution, both within and between clans. However they are extremely fierce when provoked beyond the limits of these social limiters. War among clans is not unknown, especially when habitat changes rapidly, driving one clan into another’s territory, which can be triggered by stressors such as flooding, vulcanism etc. Na’vi warfare is characterized by fierce fighting followed by immediate interactions to resolve conflict through bargaining and negotiation. Often religious ceremonies are involved in this, in which the ancestors and the Na’vi diety are petitioned. Na’vi warfare has never been observed to cause the unwarranted destruction of populations, as that is not the goal. The goal is to define the severity of the conflict and the worthiness of the combatants, relative to each other. Some researchers have gone so far as to call Na’vi warfare “ritualistic”, but this is controversial. It should be noted that Na’vi interaction with humans has grown significantly more aggressive in recent years. Sporadic low-level conflicts have resulted in fatalities among both Na’vi and humans, with the rate seemingly on the increase as human activities in the Eastern Australis region continue to expand. Despite attempts to protect Indigenous rights on Pandora by NGOs and governments on Earth, the Na’vi refuse to engage in any negotiation or dialogue regarding treaty protection. They either do not understand or refuse to acknowledge the concept of a treaty that ensures their rights and protections. They believe their deity, known as Eywa, offers all the protection that they need, and that any agreement with humans is pointless. This and other culture-based disconnects have stalled progress in Na’vi human relations, which as of this writing are at a historical low point.